Global geopotential models play a fundamental role in height transformation to convert the Global Navigation Satellite Systems (GNSS)-based ellipsoidal heights into orthometric heights in several geosciences applications. The U.S. National Geospatial-Intelligence Agency (NGA) is preparing to release the Earth Geopotential Model 2020 (EGM2020) in the near future. Prior to that official release, two primary geopotential models (PGM17 and PGM18) will be distributed to selective members for assessment in different regions worldwide. Within the activities of that working group, the new PGM17 geopotential model has been obtained and judged over a regional scale in northeast Africa, and over a national basis of Egypt. The assessment has been carried out using terrestrial gravity and GPS/leveling datasets within a GIS environment. The utilized dataset consists of 231 terrestrial gravity points in northeast Africa, 247 measured gravity points in Egypt, and 978 GNSS/leveling stations in Egypt. Three other GGMs have been included in the comparison stage, namely GECO, EIGEN-6C4, and EGM2008. For each model, grids of gravity anomalies and geoidal undulations have been computed and, then, compared against the corresponding values at known terrestrial data. Next, statistical measures of mean, range, and standard deviations of the discrepancies have been analyzed. For northeast Africa area, the accomplished results indicated that the PGM17 attains 100% improvements over the old EGM2008, while the GECO, and EIGEN-6C4 models resulted in improvements of 11%, and 1% respectively. Accordingly, it can be concluded that PGM17 represents the gravitational field over northeast Africa in a more enhanced manner. On a national scale, the GGMs assessment has been performed, over Egypt, in two steps: using gravity data, and using GNSS/leveling data. The findings emphasize that PGM17 noticeably enhance the performance of EGM2008, when compared against terrestrial gravity stations in Egypt, by almost 55%. Furthermore, the assessment over GPS/leveling stations concluded that the overall improvements of PGM17 are approximately 54%. Other GGMs did not produce a comparable improvement level in both case studies. Thus, it can be concluded that PGM17 is significantly precise than the other investigated GGMs in representing the gravitational field over Egypt in particular and northeast Africa in general. The authors acknowledge the truthful cooperation of the U.S. National Geospatial-Intelligence Agency (NGA), the U.S National Geodetic Survey (NGS), and Dr. Srinivas Bettadpur, the head of Center of Space Research, University of Texas at Austin, and the chair of the EGM2020 Evaluation Working Group. 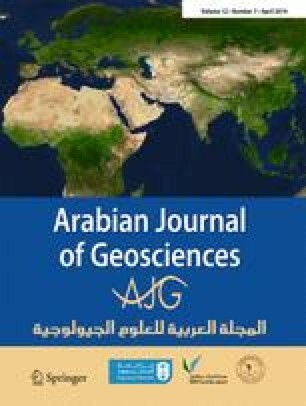 Also, the authors express honest gratitude to the International Gravimetric Bureau (BGI) for providing the gravity datasets of Northeast Africa.